After proper nail prep, use the flattened side of your brush to gather a small amount of Balance Gel. 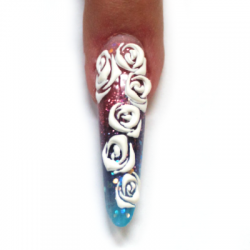 Starting in Zone 3, brush the entire length of the nail ensuring to coat the nail evenly. 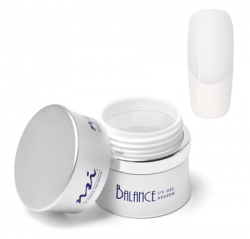 Balance UV Gel: Cure for 2 minutes in UV. 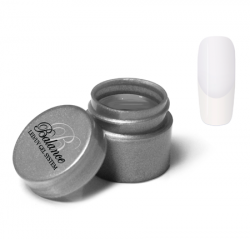 – Balance LED/UV Gel: Cure for 60 seconds in LED or 2 minutes in UV. Do not remove the tacky dispersion layer. 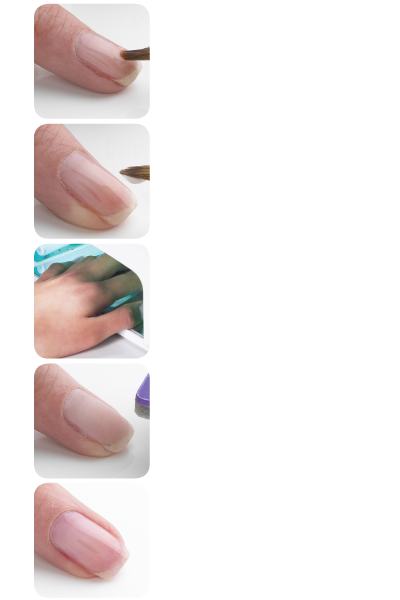 Apply a second coat of gel if necessary. This depends on the desired length, activity level and fashion preference of the client. Check the nail from all angles to ensure proper apex placement. If necessary, add a small amount of a Builder Clear Gel to the upper arch. Balance UV Gel: Cure for 2 minutes in UV. Balance LED/UV Gel: Cure for 60 seconds in LED or 2 minutes in UV. Wipe off the tacky dispersion layer using a Nail Wipe saturated with Cleanse. Refine surface and check for proper design and apex placement. 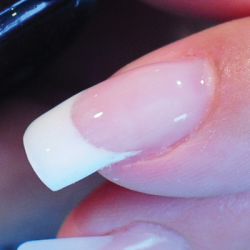 File the nail so it is smooth, balanced, and attractive following the curvature of the nail. Remove excess dust with your Plush Brush. Use a Nail Wipe saturated with Cleanse to remove any dust that may be hiding in the side walls. 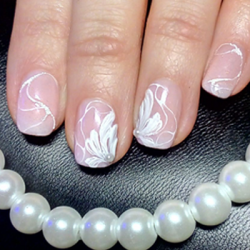 Using the flattened side of your brush, apply a medium amount of Finish Clear in polish like strokes. Make sure you do not to leave brush marks behind as this will cause the gel to not cure smoothly. Be sure to cap the free edges. Cure for 2 minutes in UV.